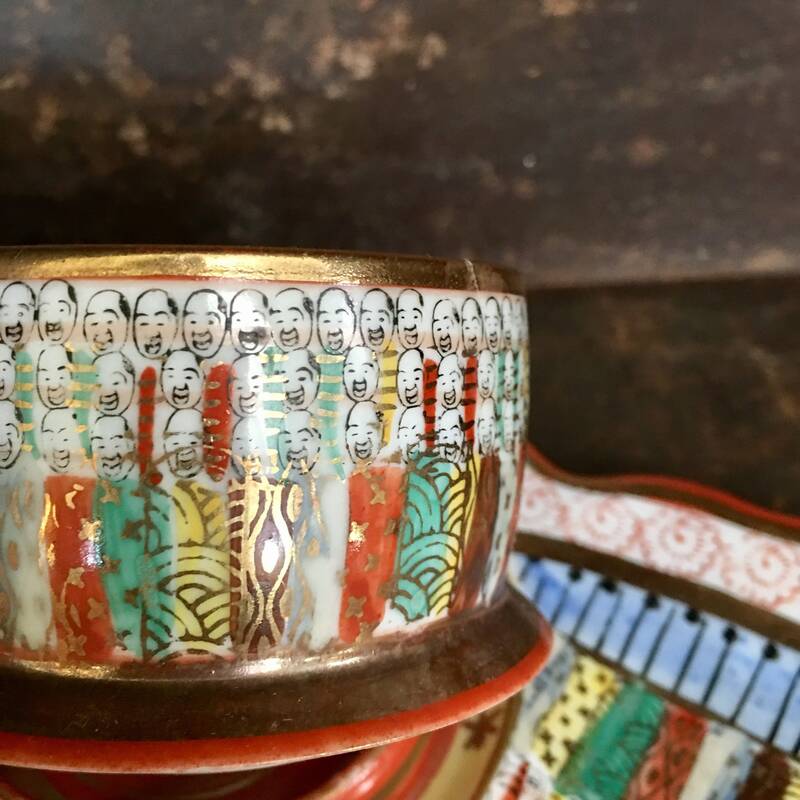 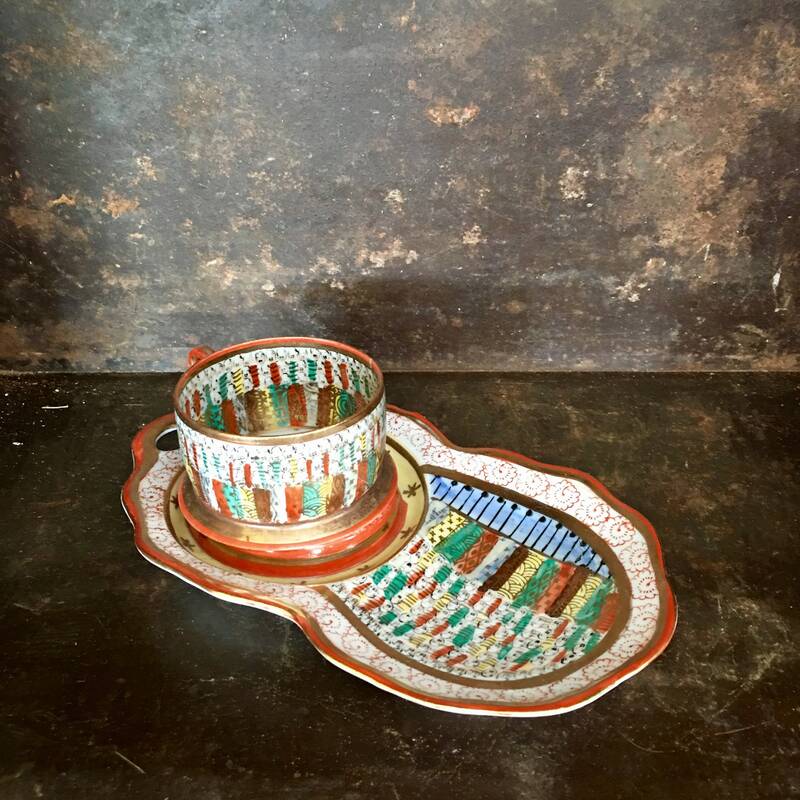 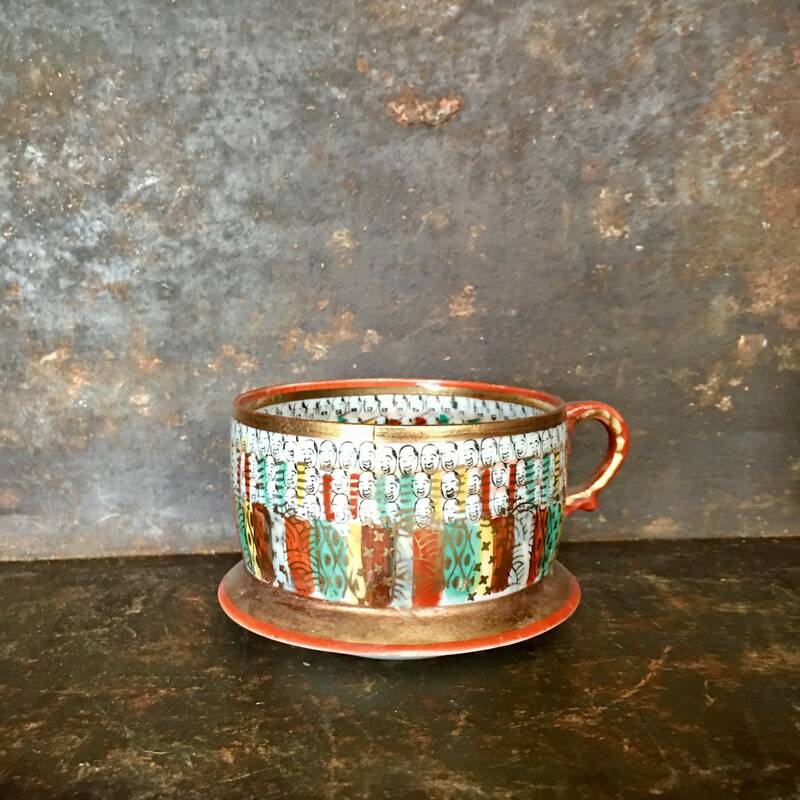 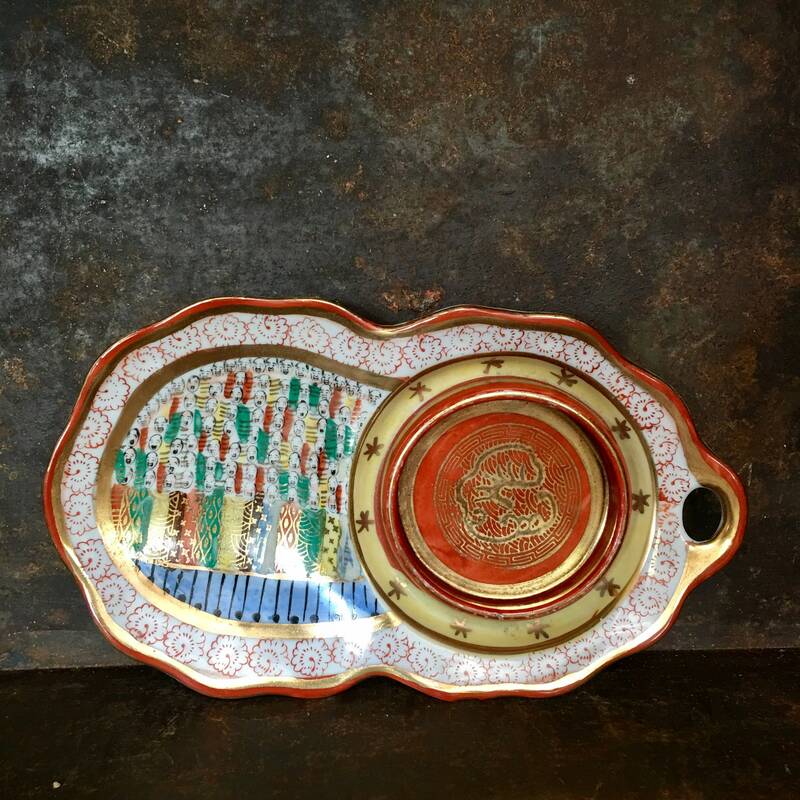 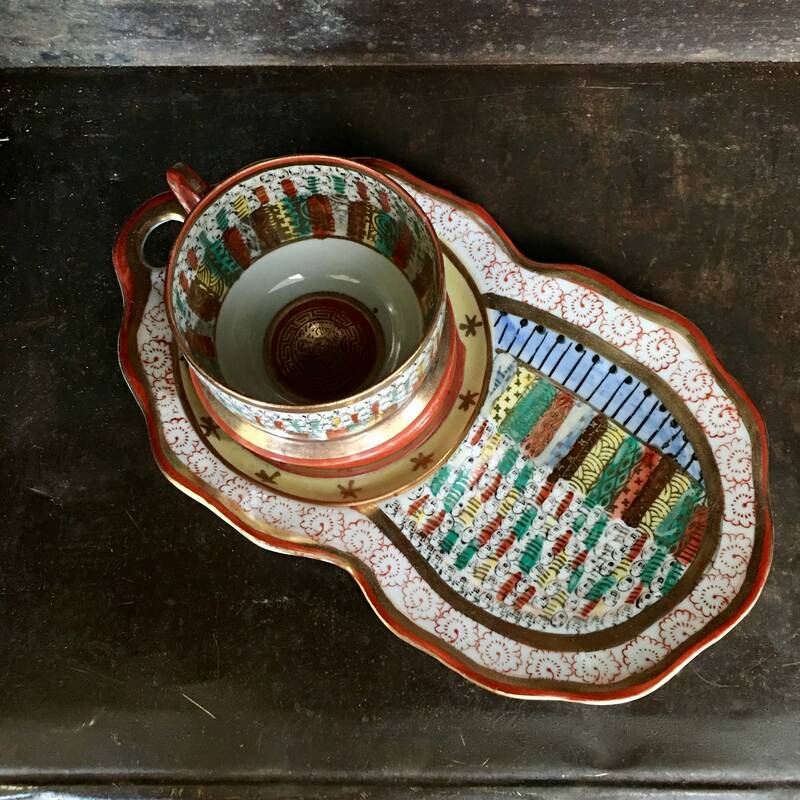 Beautiful Japanese teacup and saucer tray that has been hand painted primarily in orange and gold with blue, green and yellow detailing. 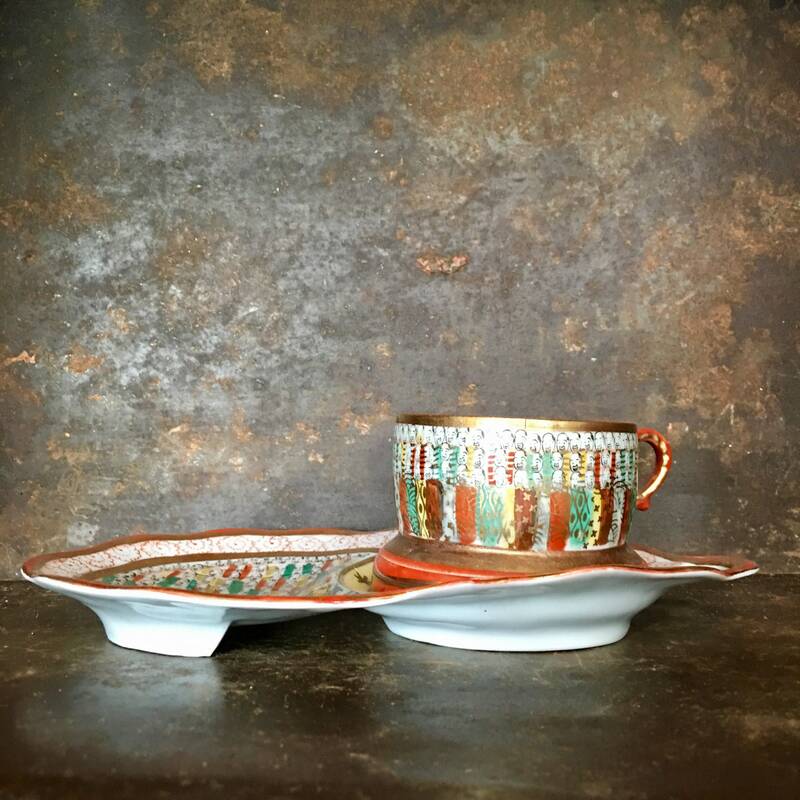 This is a very delicate set in excellent condition. 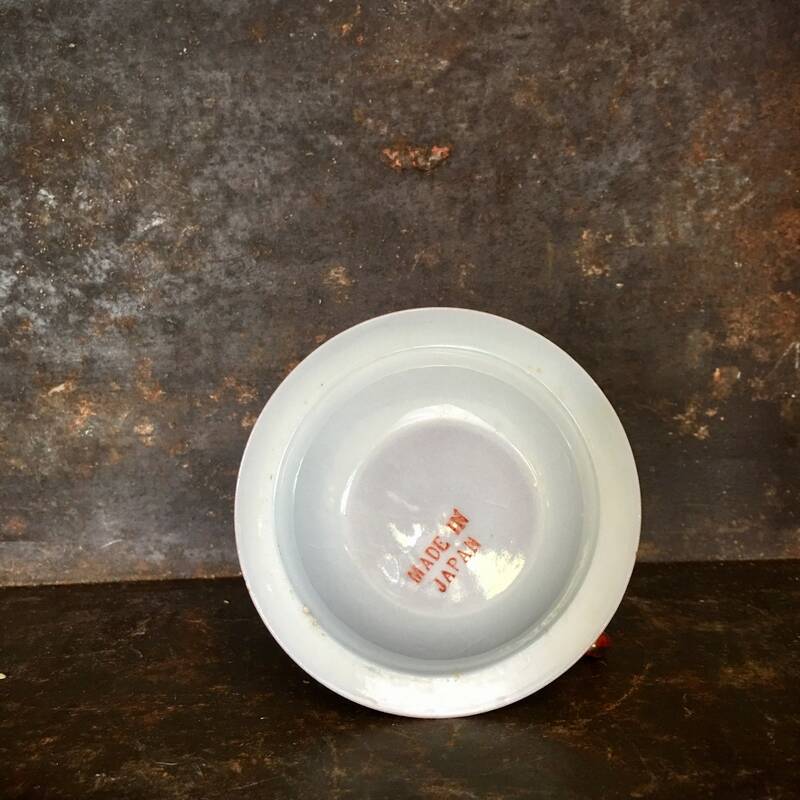 + Set weighs 8.3 oz.